Now You can Add Any Video to iTunes Freely! 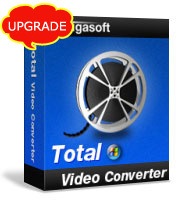 Bigasoft iTunes Video Converter is professional all-in-one converter for iTunes! Benefiting from the most advanced conversion and efficient performance technology, Bigasoft iTunes Video Converter can convert various videos to iTunes video MP4, MOV, M4V and iTunes music MP3, AAC, AIFF, M4A with fast speed and high graphic and sound quality. Adding any movie files to iTunes 10.6 and the earlier version iTunes is never so fast and easy! The efficient iTunes Movie Converter optimized ready high quality video for all model and all types Apple devices including iPod, iPod nano, iPod touch, iPhone, iPhone 3G/3GS, iPhone 4, iPhone 4S, iPhone 5, iPhone 5S, iPhone 5C, iPad, iPad 2, new iPad 3, Apple TV, Apple TV 2 and new Apple TV 3. Moreover, the versatile iTunes conversion software is designed with a smart video editor. You can easily cut, trim, crop, merge, split videos, add water mark, subtitles and so on to meet all your different needs. Free download Bigasoft iTunes Video Converter, convert and import movies and music to iTunes for enjoy high quality video and audio right now! 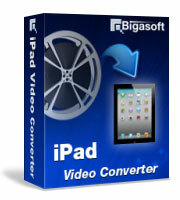 Ready to try or buy Bigasoft iTunes Video Converter? Bigasoft iTunes Movie Converter converts various video to iTunes video MP4, MOV and M4V from various videos including AVI, Xvid, DivX, H.264, MP4, 3GP, MKV, WMV, RM, FLV, MOV, WebM, F4V, Bik, 720p, 1080p, 1080i HD, AVCHD videos. 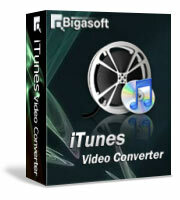 Bigasoft iTunes Video Converter also works as easy-to-use iTunes Music Converter. It can convert various audio to iTunes music MP3, M4A, AAC and AIFF and extract audio from a variety of videos such as YouTube videos, music video, AVI, MP4, MOV and more. Bigasoft iTunes File Converter enables you to edit your videos like crop video to remove black bars, trim and throw away unwanted part, split videos, merge several video files into complete one, add watermark and subtitles, rotate video to correct degree, adjust the brightness, saturation and contrast of video and add special video effects such as Old Film, Mosaic, Sand, Snowflake and more. Sometimes, you have no problem of adding videos to iTunes, however, you cannot sync the movies to your iPod/iPhone/iPad/AppleTV, and sometimes even you can sync movies to your device, the movies just cannot be played on your devices. Reconverting the files with iTunes to iPod/iPhone/iPad/Apple TV version will reduce the quality of your video and are abandoned by people who are perusing quality. With the help of the iTunes Converter, you can convert your videos to high quality/definition video for your iPad/iPhone/iPod/Apple TV and add to iTunes for sync to iPod/iPad/iPhone/Apple TV for enjoy. 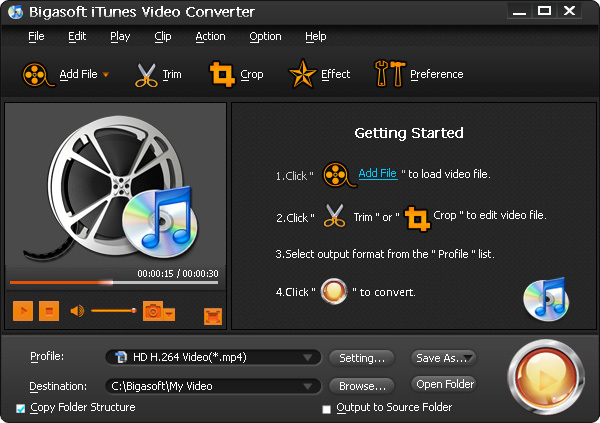 The iTunes Converter supports batch converting multiple video files. It also supports adding folder to the program and process conversion of all the videos in the folder. Optimized by NVIDIA® CUDA computing technology, the iTunes Movie Converter accelerates conversion to revolutionary fast. Bigasoft iTunes Converter provides interface languages in English, German, French, Spanish, Japanese, Arabic, Italian and Chinese. 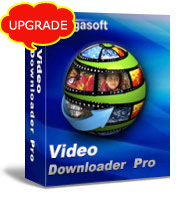 Bigasoft iTunes Video Converter supports all Windows including Windows 8, Windows 7, Windows XP, Windows Vista, and Windows 2000.